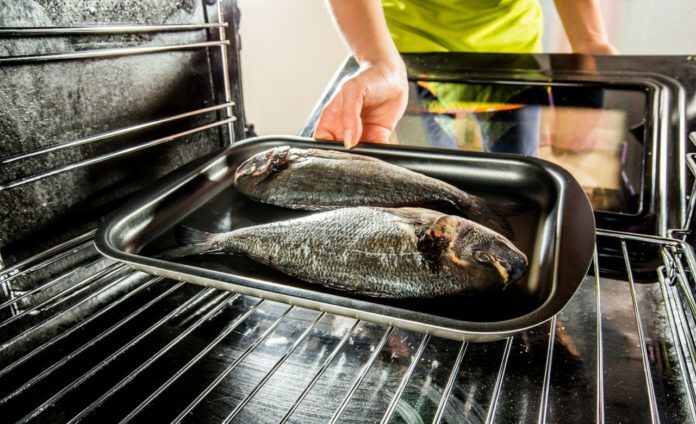 Home Health & Nutrition What Types of Fish are Best for Grilling, Baking or Searing? 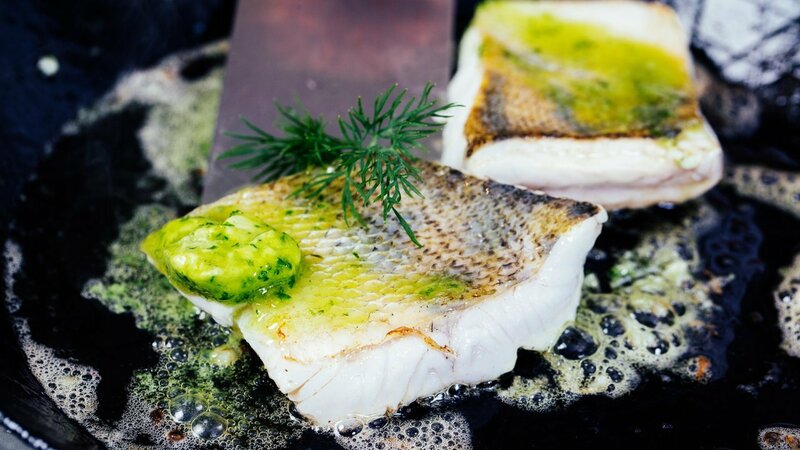 What Types of Fish are Best for Grilling, Baking or Searing? 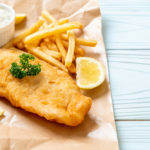 When it comes to cooking fish, there are three easy, basic techniques that both beginners and experts swear by—grilling, baking and searing. 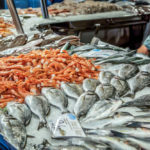 But what type of fish is best for each cooking technique? 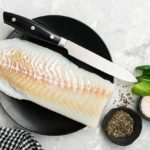 Here at The Healthy Fish, our team searched far and wide for the best cooking techniques for fish and compiled our list of top fish for the grill, oven and stove. 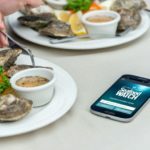 It’s hard to find a consensus on which techniques are best suited to which types of fish—a master chef might tell you one thing and your foodie friend may tell you another, while your favorite cookbook contradicts them both. 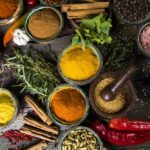 There’s no reason that all three sources can’t be right; cooking is supposed to be fun and it’s important you enjoy the food you make. 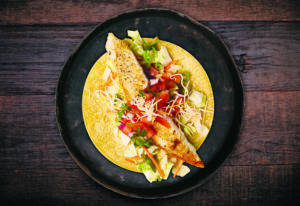 Mahi-mahi: A good grilling fish has to have a certain solidness or heft to it—otherwise, there’s a chance it will get too flaky and fall through your barbecue grates. Mahi-mahi is a sweet and mild white fish, a Hawaiian favorite, and it stays firm on the barbecue. Grilling it won’t take long, so be careful not to overcook it. 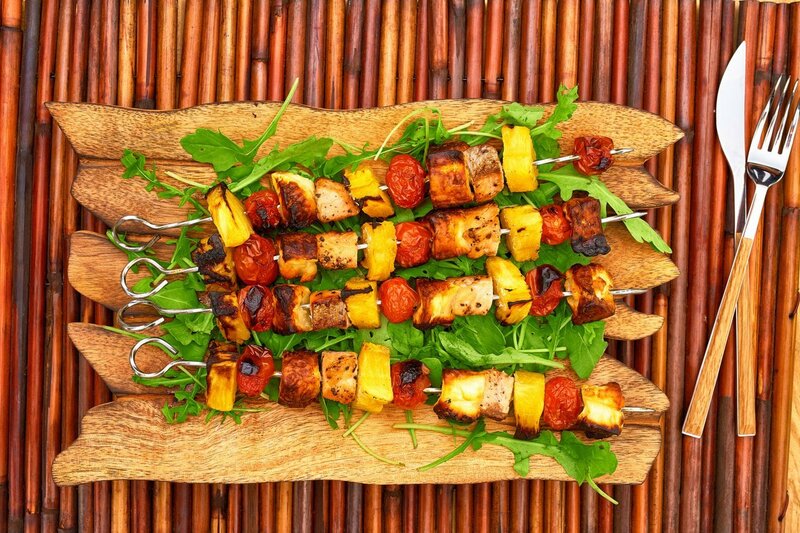 We suggest these amazing mahi-mahi kabobs that’ll make you feel like you’re on a tropical vacation. Tuna: Tuna is definitely one of the most barbecue-friendly fish because it’s so hearty and meaty. Next time you’re at the seafood counter, grab tuna fillets or steaks and throw them on the grill—you won’t miss your hamburgers at all. We love a good aioli, and this herbed aioli on grilled tuna recipe is one of our favorites. Salmon: As a meaty, fatty fish, it’s no surprise that salmon is the barbecue’s best friend. 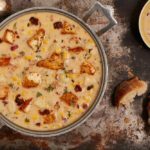 It holds together well and its rich flavor is loved by seafood fans all over. Salmon can be baked just as easily as any of the fish listed below in the baking section, but grilling it is a special treat—we love the flavor you get from using a cedar plank, which gives the salmon an added smokiness. Pro tip: Cedar planks on the barbecue are a great way to grill lighter fish, like Tilapia, which otherwise wouldn’t hold their own on the heat. Halibut: Fish fillets are a dinner staple, and Better Homes & Gardens says it best with this fast and fail-safe rule: “bake, uncovered, in the preheated 450 degrees F oven for 4 to 6 minutes per 1/2-inch thickness of fish.” Baking is fabulous for white fish like halibut, which will come out of the oven moist and flaky. 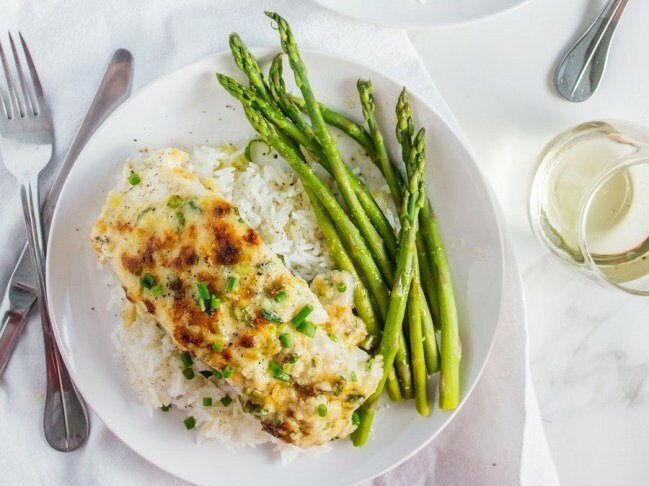 Making a savory dish with garlic and fresh grated parmesan is the perfect way to enjoy Halibut—especially on a chilly fall night. Snapper: If you want to try something a little different, you won’t be disappointed by snapper—it’s a fattier fish, best baked whole. If you want to make your entire dinner in one quick go, stuff the snapper with some seasoned vegetables and spices, wrap it in foil, and bake at 450 degrees F for 10 to 15 minutes. 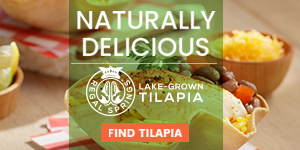 Tilapia: Low-fat and versatile, there are almost too many choices when it comes to baking Tilapia. 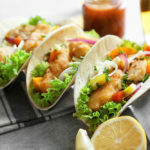 You can find some super simple recipes, but keep in mind that Tilapia fillets are thinner than cuts of halibut, snapper and salmon and will bake fast. Pro tip: Read recipes carefully, because no two are the same—most recipes will often advise you to preheat the oven somewhere between 375 and 425 degrees F.
Cod: You can’t beat cod when cooking on the stovetop. Cod loins are mild, flaky and thick—and they have a reasonable price tag. 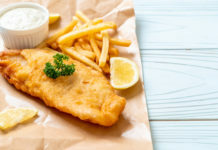 It’s also a great no-frills fish: here’s a recipe that will teach you how to fry it up in the traditional British style, where the flavor of the cod speaks for itself. 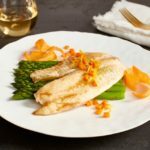 Sole: There are many white fish that can be pan-seared—we already mentioned halibut, but trout, perch, sole or striped bass are also great. 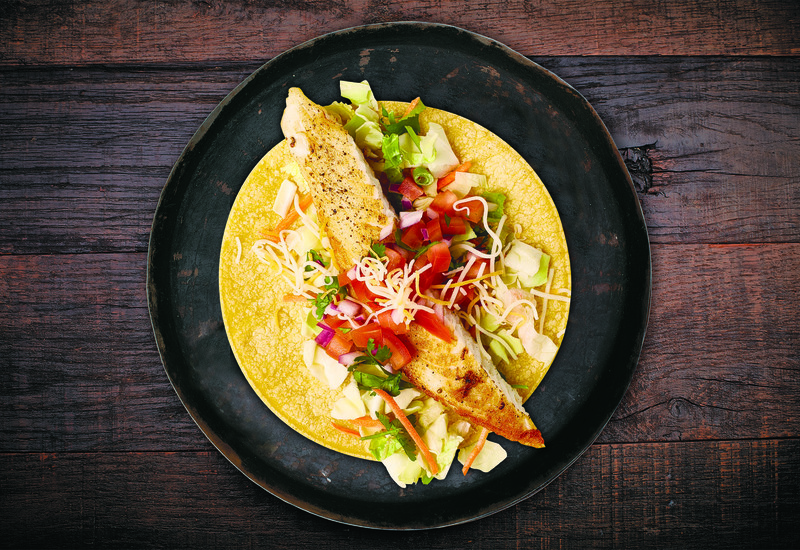 Consider this light and lemony sole recipe for your next dinner. 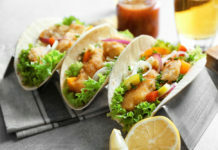 Soles’ taste and texture are uniquely light for seafood, making it one of the easiest fish to dress up with spices and sauces. Pro tip: Some fish can cook through without ever needing to be flipped. But if a flip is necessary, let two-thirds of the cooking occur before flipping, and never flip more than once. 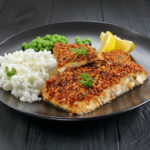 If you want to learn more about fish and how to cook it, check out our recipes. Or if you’re feeling inspired to share your favorite way to prepare fish, head over to our Facebook page and leave us a comment!